Welcome to the Bulbagarden Archives, G50! Generation V Pokémon sprite size is 96×96px, only increased if animation requires it. Sprites must have a transparent background. You happened to have swapped the Quagsire sprites. Hello G50. First of all, thanks for correcting my uploads. There are the first I made and I already have difficulties to do it completely and properly. I will try to do my best for the next ones. I have some questions for you. Firstly, this morning (european time) I uploaded some game maps (Copycat house, Eterna Condominiums) to improve the pictures of the articles (respectively by cutting black borders and taking a screenshot by day). The new screenshots appear on the Archives but not on the articles. It is due to the server ? Will they automatically appear on the articles later ? Secondly, when I update an article (for example House of Imite, by adding the two needed pictures), can I delete the template saying that the section is incomplete or should I let it until a staff member check the work and delete it himself ? 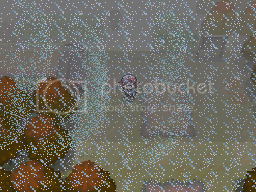 Hi there, I have been working on animating the overworld weather conditions, and the last one I need to upload is the Tornadus/Thunderus summoned "thunderstorm" in BW. However, the file I get is over 4 MB because a) 60fps, and b) extremely high detail with the amount of rain on the screen, and there is a certain length to the animation. Obviously I will need a staff member to upload it for me, but I wanted to ask what you would consider the limit for the size. Is over 4 MB too much? Here is probably the best one I made time-wise - it's over 4 MB: Thunderstorm V. It's worth noting that I experimented with 30 fps, but it barely dropped the file size and the animation didn't look as clean as it needed to be. Let me know what you think, and if necessary, I may be able to tinker a little more with the frames to get a smaller file. This page was last modified on 22 March 2018, at 10:38.